High temperature resistant heat preservation flow tank The equipment has a long life lining, adopts new high silicon melting material forming technology, strong corrosion resistance, non-stick aluminum, and no pollution to aluminum liquid. 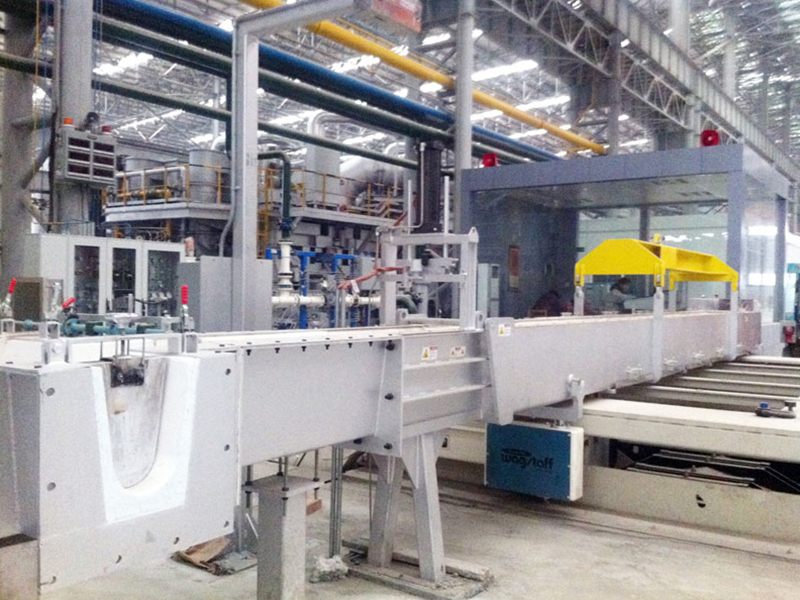 It is processed by wet vacuum forming process. The strength of this kind of product is higher than that of fiber blanket and vacuum forming felt, and it is suitable for high temperature field where steel strength is required. Convenient work; excellent wind erosion resistance; continuous production, uniform fiber distribution, stable performance; excellent sound absorption and noise reduction performance. Steel industry: expansion joints, lining insulation, heat insulation sheets and mold insulation; non-ferrous metal industry: tundish and runner cover for pouring copper and copper-containing alloys; ceramic industry: lightweight kiln structure and furnace Hot surface lining, furnace temperature zone separation and fire blocking material; glass industry: molten pool is lined with insulation, burner block; kiln construction: hot surface refractory (alternative fiber blanket), heavy refractory Lining, expansion joints; light industry: lining of industrial and domestic boiler combustion chambers; petrochemical industry: high-temperature heating furnace lined with hot surface materials. 4. Due to the addition of the electrodeless binder, the product has high compressive strength and good toughness. The Casting Launder, also known as high temperature resistant heat preservation trough, is a silicic acid fiber product, which is mainly used for the distribution and transmission of aluminum liquid with high heat preservation requirements, such as the active flow trough on the casting and rolling, and the distribution flow on the same horizontal casting disc. groove.